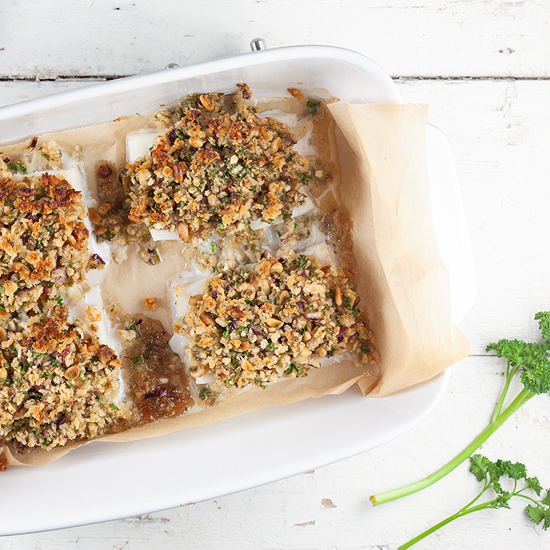 Make sure the cod is thawed if needed and pat dry using paper kitchen towels. Roast the pine nuts in a dry skillet. Peel and finely chop the red onion. Finely chop the parsley and combine the pine nuts, parsley and red onion along with honey, olive oil and balsamic vinegar. Season with pepper and salt and also season the cod fillets with pepper and salt. 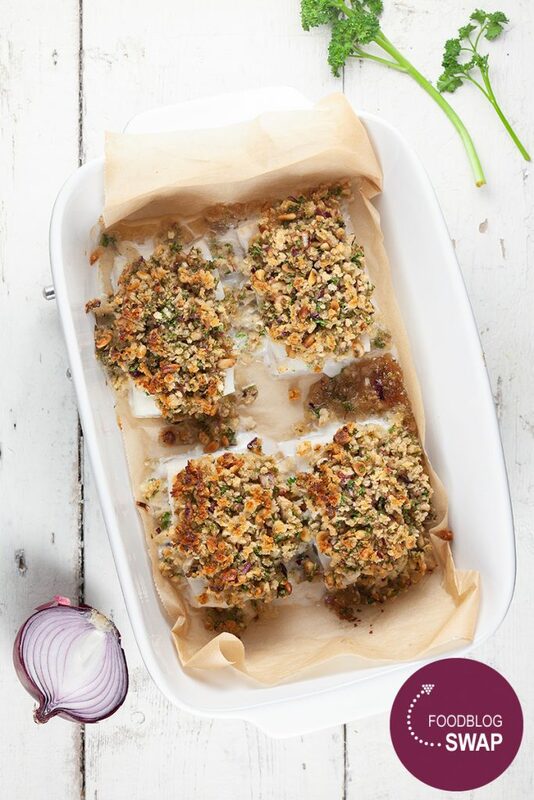 Line an oven tray or oven dish with parchment paper and place the cod fillets on top. 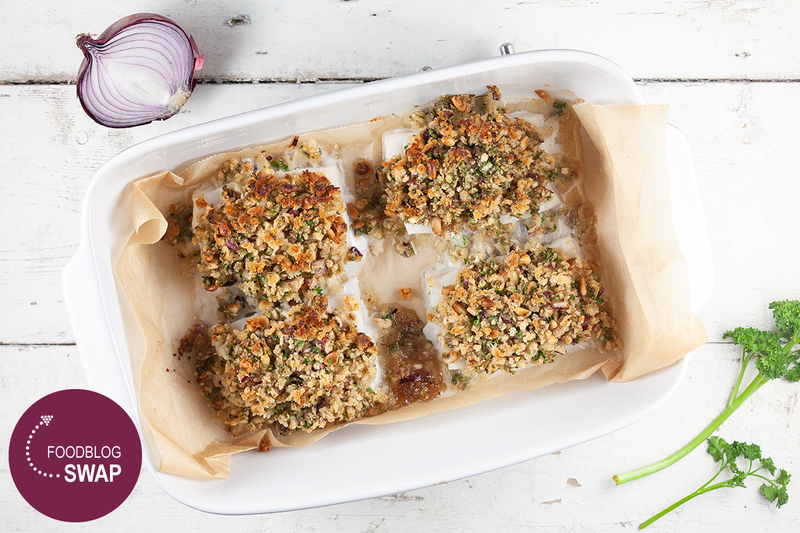 Add panko to the red onion mixture and divide over the cod fillets. Bake the cod in the oven for about 10 minutes, you don’t want to overcook the fish but you want the crust to become crispy. 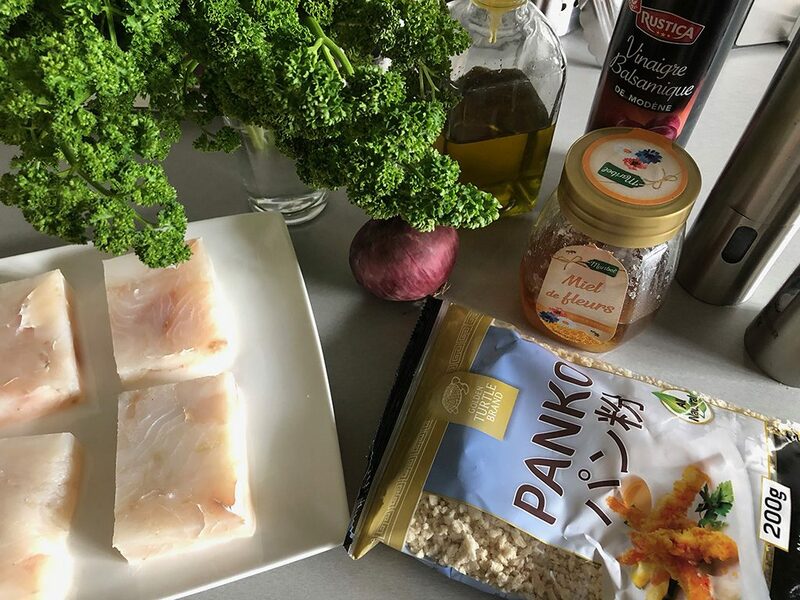 We served this delicious fish with broccoli, pasta and creamy lobster sauce. Enjoy!